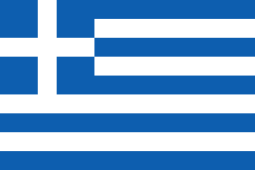 This article describes the military rank insignia used by the Hellenic Army. The current insignia date back to the late 1930s, when British-style insignia were adopted. Since then, they have undergone minor changes to reflect the changes of regime, from the monarchy to the military regime and, since 1974, the current Republic. The rank of Stratarchis (Στρατάρχης, equivalent to Field Marshal or General of the Army) has been historically used, but is no longer extant. It was first awarded to King Constantine I for his leadership in the Balkan Wars. The rank was subsequently assumed by his successors upon accession, until the abolishment of the monarchy. The only regular officer to have been awarded the rank was General Alexander Papagos on 28 October 1949. The rank of Δόκιμος Έφεδρος Αξιωματικός Dokimos Hefedros Axiomatikos or ΔΕΑ (Officer Designate) is reserved for conscripts who successfully enroll in and graduate from officer training school. These Officer Designates serve for 5 months longer than regular conscripts. It is a transitional rank, in which someone serving for a minimum of 6 months at a post reserved for a commissioned officer (usually leading a platoon) can be nominated for a Second Lieutenant commission. Officer Designates are considered of equal rank to career warrant officers, but the latter have greater seniority. The Officer Designate rank is functionally equivallent to the rank of Third Lieutenant, with a NATO designation code of OF(D). The color of the striped pattern on the rank insignia of the Non-Regular Professional Officers' battledress and service uniforms denotes the branch of the wearer e.g. Red/White for infantry, Green/White for Cavalry/Armor, Black/White for Artillery, Plain Grey for Research/IT, Red/Blue for Technical corps etc. Officer Designates have no particular insignia for their fatigues, but instead wear two branch insignia collar patches. Before being nominated as Officer Designates, candidates must undergo and successfully complete a training period as ΥΕΑ (Υποψήφιοι Έφεδροι Αξιωματικοί Hypopsifioi Hefedroi Axiomatikoi, Reserve Officer Candidates, NROC) in their specific branch training school. They are further subdivided into ΥΕΑ Α' (alpha or junior) and ΥΕΑ Β' (beta or senior), according to course seniority, and can further obtain honorary NCO ranks within the training school, depending on their progress and scores, e.g. NROC Corporal (Δεκανέας ΥΕΑ Dekaneas YEA), NROC Sergeant (Λοχίας ΥΕΑ Lokhias YEA) and so on. NROCs can only wear fatigues, like enlisted soldiers, and wear collar insignia with one (alphas) or two (betas) colored stripes, denoting their weapon and corps branch. NROC NCOs wear only one such insignia and the proper NCO rank collar patch for their rank.